In the middle east, gay men and transgender people are ostracized, often vulnerable to abuse and even killed because they are different. In the Khyber Pakhtunkhwa province of Pakistan, police are responsible for law enforcement, however, they have a very complicated relationship with the transgender community, to say the least. Many people in the country are against homosexuality and other forms of alternative sexual and gender orientation, because of religious dogma and conjecture. Even in the larger cities, in the middle east LGBT people must try and remain discreet and try to remain hidden from society. In Pakistan, most religions still refuse to believe that homosexuality exists. However, in some regions, authorities are taking several positive steps towards creating social change and reform. This is great for the transgender community. Recently, there was a new law passed increase safety for transgender people. Earlier this year, local police taught 15 transgender women to drive and issued them with a driver’s license, which made history in the Khyber Pakhtunkhwa province. It is a revolutionary step has been taken for the empowerment of the transgender community as the inaugural ceremony took place for the education and vocational training of Pakistan’s transgender community. 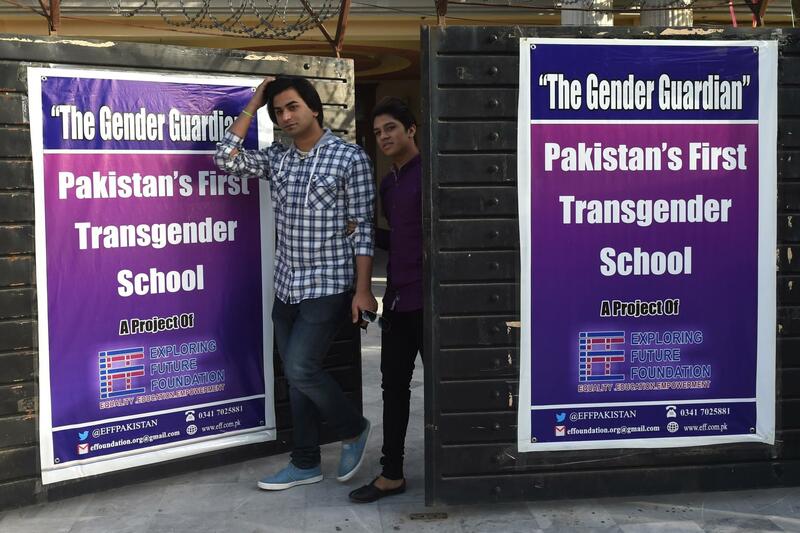 Last month, Pakistan opened the first school for transgender people. The school is being launched by an NGO called Exploring Future Foundation (EFF), which has attempted its first project. Mr Moizzah Tariq, the managing director of the NGO said: “We will be providing skill-based training and curriculum to the transgender community that has enrolled with us”. The Gender Guardian”. The school will start enrolling students from 15 April 2018. The school will provide twelve years of academic education – from primary level to higher secondary level and is going to have 15 faculty members. Last week, they held sports activities for the transgender community in the regional capital, Peshawar. The first Transgender People Sports Festival was held at the Arbab Niaz Cricket Stadium. DPRD member Naumanul Haq pioneered and funded events that featured sports competitions such as; archery, cricket, badminton, sack racing, music chairs, soccer, and tug of war. The aim of this sports festival is to promote better awareness of the transgender community and to help end trans-phobia. This comes after TransAction Pakistan, a leading advocacy group who told us that, since 2015, there have been more than 57 of the most violent killings of female transgender individuals in the Khyber Pakhtunkhwa (KP) region. It’s obvious we need to start doing our own research and forming our own opinions about news and current affairs, instead of just repeating what people tell you. Then, we can all start to talk about the important stuff, that we really care about and share it with like-minded people. That can really help people, who do not have access to the support or resources they need. Founder & Director of My Rainbow Net Pty. Ltd.